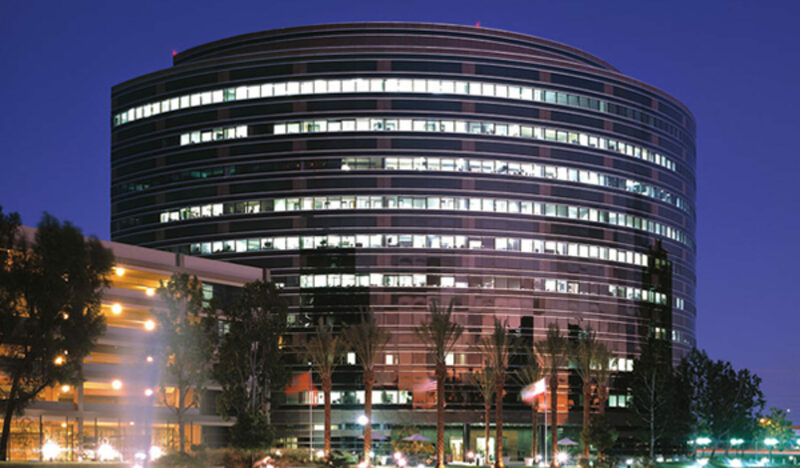 Social Media and the internet provides a cost-effective way for Loan Officers to advertise and get new clients. It is easy to create digital ads but when you do it, you must also ensure that these ads are in compliance with existing laws. 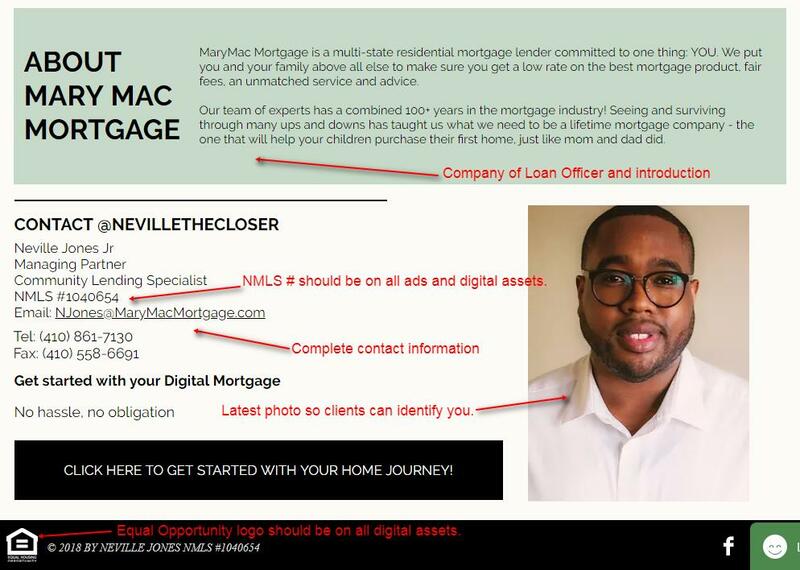 Here is a quick guide in creating compliant digital ads for loan officers. Why do you need to create compliant digital ads? 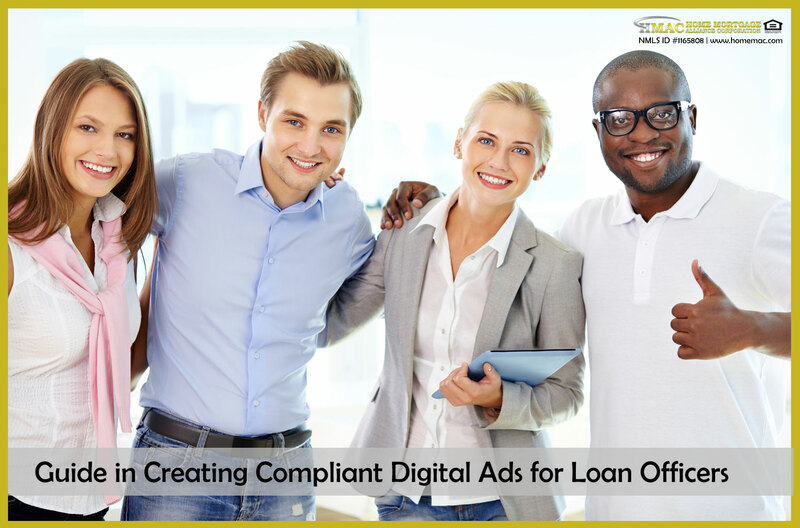 Creating compliant digital ads for loan officers is necessary in order to avoid any potential UDAAP (Unfair, Deceptive, or Abusive Acts or Practices) and fair lending violations. One thing to look for and avoid include “over promising” and “under delivering.” You can also be penalized for up-selling or down-selling to less attractive products or products unsuitable for the audience or prospective applicants. If you want to ensure a compliant digital ad, you as a loan officer should focus on your brand. Make the message and statement clear as to what you offer and what you can deliver to your target audience. What are the essential elements for creating compliant digital ads for loan officers? Here is a quick checklist. The business name should be present on all ads. This is the company for which you are working for. You can also add short information about them depending on the size of the digital ads or digital asset. NMLS Number. Your NMLS number should be present in all your digital assets. Equal Opportunity Housing logo. This should also be present in all your digital assets. Full Name. In order for you to build trust with your clients, your full name should be part of your digital assets. Latest Photo. Adding a photo of yourself also builds credibility. Contact Information. This is absolutely necessary because without them, how would potential clients get back to you after seeing the ad or the digital asset. 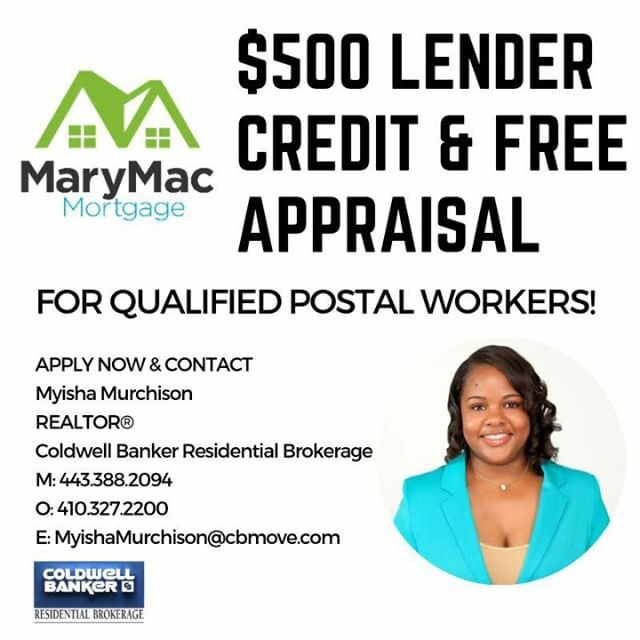 Here is a sample Digital Ad for Loan Officers from one of our partners MaryMac Mortgage. You should consider the audience of the ad first and foremost. Different loans could have a different audience. For example, Reverse Mortgages are to senior homeowners to convert a portion of their home equity into cash while still living in the home. Thus, the tone and appearance of the ad can be slightly different. If you are creating an ad for VA loans which is only available to those connected with service personnel, the design, wording and layout might also be different. Where will the ad be shown? Loan officer ads can be made available on a variety of channels. You can publish ads on Facebook either as an organic post or a paid ad. If you are using a paid ad you need to tailor fit your audience and even include their interests and behavior. Twitter Ads and LinkedIn Ads also allow you to specify a location for which the ads will be delivered. Among these social networks, Facebook is the most cost-efficient while LinkedIn is the most expensive. You can also choose to run Google Ads and select specific keywords. Google Ads allow you to have both text and image ads. Although these ads tend to be one of the most efficient since you are running them on a search engine, it can also be one of the most expensive. If you have direct contacts with websites and other media online, you can negotiate with them directly as well. Depending on the website and their theme, you also need to tailor fit the ad in terms of color scheme and messaging. How to Get Leads from Ads? Different ad formats and platforms provide various ways to get leads from your ad. Facebook has a Lead Form type of an ad which allows you to get leads directly by letting those who see your ad fill out a form. These ads are useful if you plan to get genuine leads of people interested in the product you are advertising. One of the best ways to get leads is to generate a lead form yourself. A lead form can be available through your website landing page or through a Google Form. Various web platforms offer forms which are easy to set up. If you do not have this, you can also just ask people to direct message you on the platform you are advertising or call you directly. Do you have questions about your ad? You can message us or ad your question or feedback by commenting on this article. Remember always those good digital ads for loan officers are always compliant. Good luck!